What could be better than a story written by a Cenobite read by the Lead Cenobite? Not much, especially when the story is as perverted and crazy as a Cenobite. This story is as twisted as a barbed wire fence and it just gets tighter and tighter as the story unfolds. This story isn’t for the faint of heart and there is a lot of language and scenes that some would find to be too much. I really like that this is an epistolary novel as it is told from a journal. That reminded me of Bram Stoker’s Dracula and I have to say I wish I came across this style more often. What starts out with entries from a depressed widow quickly turns into a depraved calculating madman seeking out his lustful conquests. The story itself is fairly simplistic, however, I found Michael’s methods quite ingenious and really liked how he goes about getting what he wants. The simplicity of the story is overpowered by the detail of everything that Michael leaves in his journal. This portrays a downward spiral into madness quite well. Each new entry ratchets up the tension and perversion. The only part of this story that I didn’t find completely satisfying was the ending. I don’t have any major complaints except I felt the buildup deserved something a little grander. I would almost say that there are two parts to this book. The first part is a bottomed out professor ranting about life and giving his opinions on various topics and the second part is the rising of a serial killer talking about his exploits. I think the first part really lays out Michael’s character and does a great job of setting the stage for his evolution into a killer. Getting firsthand accounts from Michael’s journal really gets you inside the character of Michael and makes you sit shotgun on a crazy ride. Nobody should ever pass up a chance to listen to a story told by Doug Bradley. He has the voice for storytelling. I enjoyed every minute of his narration, Doug has a fantastic voice, he provides the right amount of emotion, and really embodies Michael. I personally had the chance to meet Doug and he retold me a short story written by Ray Bradbury. His retelling and explanation of that has stayed with me longer than the written story has. Not my type of horror I normally read/listen to but it was a very interesting story none the less. I also love the narrator's voice and story telling. A dark and twisted journey for the senses! Not to be missed! You will love it! I was absolutely blown away by this book. 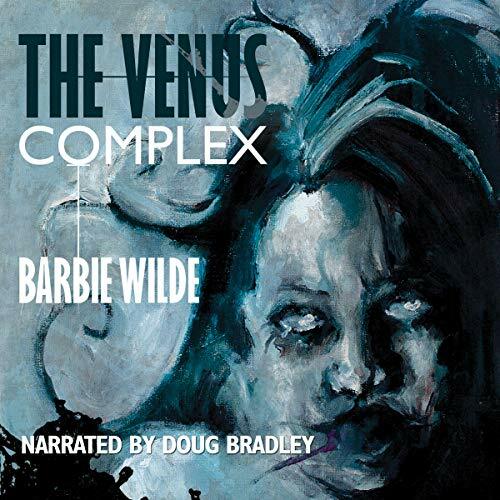 An exquisite performance by Doug Bradley, reading a masterful tale by Barbie Wilde. This book goes beyond gratuitous violence of a fictional sexual predator, taking us into his thoughts and motivations about his victims as well as the wider world. I found that I could actually agree with some of the protagonist's musings, but then his logical processes would fracture dangerously, pulling him further along his dark path. His memoirs include past reflections, current frustrations, and future dreams/plans. This audiobook contains graphic sexual violence and the author's very effective writing style may be uncomfortable for some (consider yourself warned). But... as I mentioned, there's way more to this book than that. I'm glad I listened to it, because it gave me food for thought about what might go on in the head of a psychopath. The only reason why I knocked off one star is because I think I would have been more satisfied with a different plot ending. This book is definitely not for the faint at heart. You dive right in to a serial killers mind, thoughts and actions. You watch as he slowly slips into the rabbit hole and starts Turning into a serial killer. This book Definitely talks about some sensitive subject matters, I'm sure the squeamish Will not enjoy. You've been warned. If you like a sick twisted books then you have found the book for you. I definitely enjoyed this book. Doug Bradley did an excellent job performing this book. He really got into the character and as the character became more crazy his voice acting did as well. job well done.